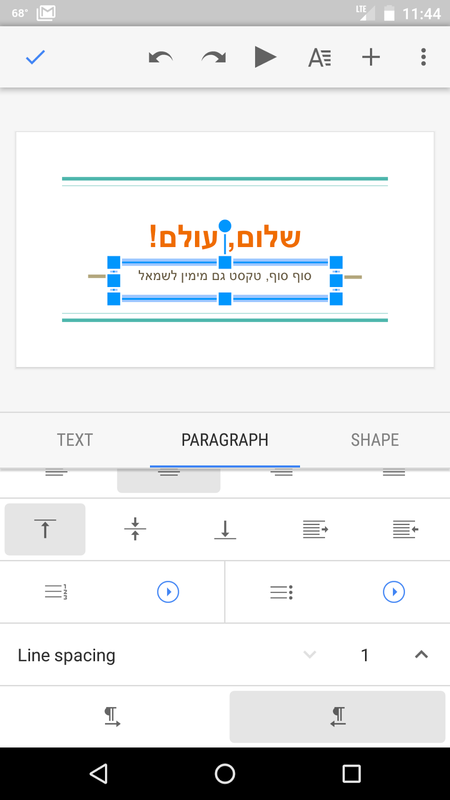 In the Slides Android app, you can now create and edit presentations that read from right to left, a necessity when presenting in languages such as Hebrew and Arabic. In the Docs Android app, you can now select, copy, and comment on content in Print Layout view. 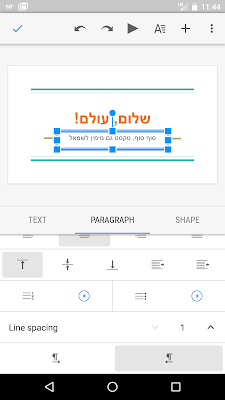 New versions of the Google Slides and Docs apps for Android are now available on Google Play.